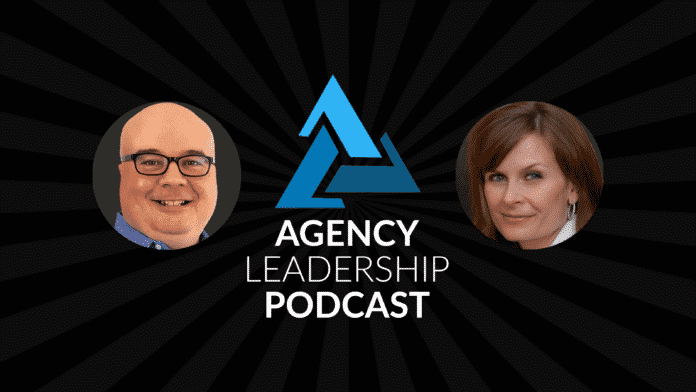 In this episode, Chip Griffin and Gini Dietrich explore a variety of ways that agency owners can expand their business development and sales efforts — without taking on the expense of a salary. Chip and Gini discuss the pros and cons of the various tactics, as well as their differing experiences with them. Be sure to listen in and find out why they’re calling this the “wine and scotch” episode, too. Or bottles of wine, scotch, you know, we could take those as well. In fact we could write a list in the show notes. If you want to make it easy for you. We could we could put together a little wish list right? Yeah, maybe go on to Amazon. Add some items there that people could can use to thank us and I like it. Yeah, yeah. But no, you know, they say nothing in life is free. But it turns out in in business, some things can at least appear that way from the outset. So after last week’s show where we talked about how word of mouth is not a viable sales strategy we thought it might be useful to talk about in the next couple of shows some things that are useful sales strategies, and one of the ones that many agencies explore from time to time are various free approaches. In other words, not hiring someone on a salaried basis. But perhaps doing a commission only approach, perhaps setting up a partnership with another agency, perhaps creating a referral program for friends and family, things like that. There’s a lot of different approaches that that one can take to extend your resources without upfront cash outlays, right. And some are good ideas. Some are not so good ideas, but they all have you know that it’s important to think about how to manage them, effectively, whichever ones you try, and I’ve tried most of them I know that Gini, you’ve tried a number of these as well and I think based on our pre show discussion that we’ve had some different experiences with some of them so I think this will be this will be an interesting 20 plus minute conversation and hopefully listeners will be able to take away some value out of it. Yeah. And, you know, I have tried several of what you’ve mentioned. And I think some of it is in the execution as agency owners, we don’t tend to be consider ourselves, sales people. And so what comes naturally to us in terms of what we talked about last week with relationship building, and, you know, those kinds of things that comes really naturally it’s hard to teach that. So it is somewhat in the execution. But I think I’d say that because there are some things we’ll talk about that didn’t work for either one of us and some things we talked about, that didn’t work for one of us and not the other or vice versa. But that doesn’t mean that you should not try it. It’s definitely in how you execute the idea versus the idea, right. And I think, you know, business development for any kind of business, but particularly in the agency environment, a lot of it comes down to being willing to try things and see what works and what doesn’t, because what works for one agency may not work for one that looks very similar from the outside. And there’s all sorts of different reasons why that might be. It could be the personalities involved, it could be, you know, some of the differences in the targeting of client lists or the services, there’s all sorts of things that go into that. And so, you know, I guess my, my top piece of advice for agency owners would be, you know, think about the things that you can try test them, see if they work, don’t give up on them too soon. But also, you know, try not to stick with them so long that you are willing to ride the plane all the way into the ground, you know, you’ve got to at some point decided this is not a winning strategy for you and try something different. Right. And also, I would say that if you are an agency owner with employees, and actually doesn’t even true even if you’re a solo entrepreneuer, your job is twofold strategic development with clients and business develop, develop development for your own firm. If you aren’t focused on those two things, and you’re getting mired in the details and, and in the weeds. You’re not doing your job. 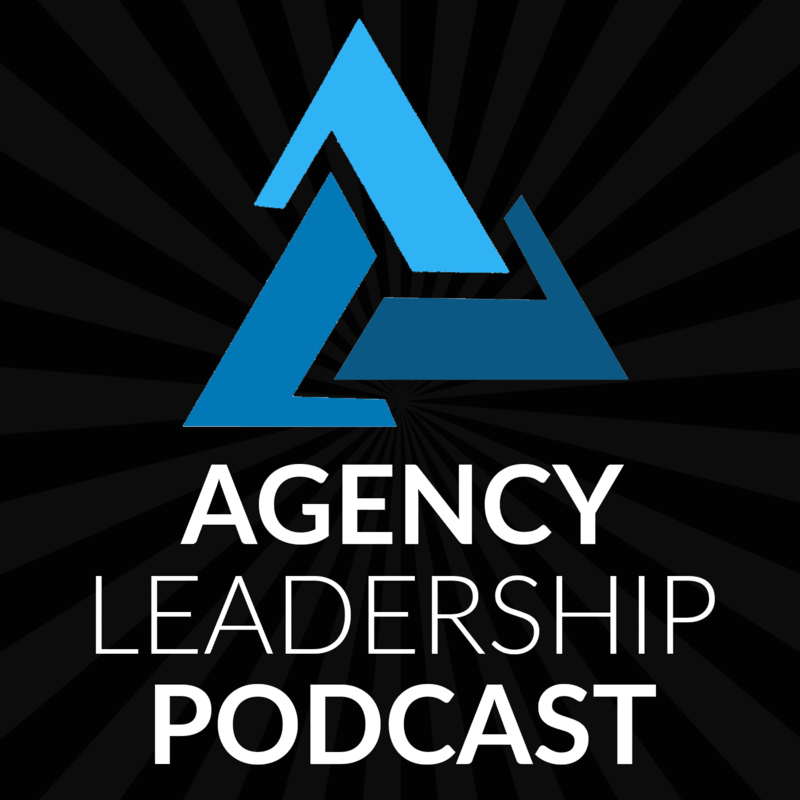 So this is one of the most important things that you should be doing as an agency owner. Absolutely. And we all know that that many agency owners hate the sales process themselves. So, you know, one of the way, one of the ways around that is by, you know, increasing your overall resources, so that you’re part of the process, but not the only piece of it. And so, you know, let’s, let’s take some of those free approaches, right, because we all we all know, you can hire a sales rep in house and, you know, at some point, we’ll have a conversation about, you know, sort of the typical sales structure that businesses use and how that may apply to agencies. But for today, let’s, let’s look at some of the free options if you will. And so let’s let’s start with, you know, the sort of the most direct which is a commission only salesperson and this is this is something that, you know, when when someone hears the idea, they’re like, Wow, this is great, you know, I’ve got I’ve got access to, you know, free staff resource but I only have to pay him or her if they actually generate revenue. And so, you know, it sort of conceptually it’s very appealing. It obviously requires some some real structure and execution and yeah you and I’ve had some different experiences in this regard and you’ve had the more positive experience in this regard. So why don’t you address that first and then I’ll give some of my caveats and such. when I get on the phone with somebody or I’m in a meeting with somebody, and I think most agency owners are like this, it’s really easy to talk off the cuff. And it’s really easy to know the right questions to ask as you’re going through the process. Because you’re, you’ve done it, you you’re in it, you’re an expert, you’re mired in it, right? You I mean, you’ve grown up doing this work, and so it comes really naturally. So that’s one of the biggest challenges I’ve had is training him and coaching him to quote unquote, sell the way that I do and to ask the right questions and to find dig in. Dig deep enough to be able to find the real pain that we can solve versus being very surface level. So it’s been interesting to watch, you know, I mean, what’s that been four months, five months, it’s been really interesting to watch his in the beginning he was and I will also tell you have to be really willing to let this this person or this team fail because they are going to bomb at first and I had somebody say to me if you can get them dialed in in 60 days you’re doing really well and it’s about 60 days and he bombed at first it was bad and I would just cringe and be like, okay so but it gave me the opportunity to be able to coach him and say, Okay, this is how I would have done this differently. And the other thing that I really focused on is giving only one thing to change after every meeting. So I didn’t I don’t bother in the especially in the beginning there were five or 10 or 15 or even 20 things I would have changed I only focused on one thing because I didn’t want to overwhelm him and it worked and the the transition in his confidence and his ability to talk about what we do without having really deep communications industry expertise has been phenomenal. But it has been a real challenge for me. I mean, it is one of the hardest things I’ve done so far in running my own business. Yeah, I mean, look at I think agency owners always have difficulty in letting go of almost anything, whether that’s on the client server side, but I think particularly on the business development side, it’s even more challenging because that’s where you’re setting the initial expectations for a potential new client. right and right, and it’s, it’s where you sort of have to do the most navigation to figure out okay, what is the right fit here? How do you know how do I take your challenge tell you what my solution is and make the to meet in a happy place in the middle. Hmm, yeah. And so, you know, no matter what kind of sales support that you’re using, whether it’s in house or contracted or commission only or referral you know, whenever it is it does take a, the willingness to let go but b, as you said, that very hands on coaching guidance to make sure that they’re representing your business in the way that you want and expect them to. Right. And you do you have to. There are a couple of ways that we handle it. Either we record the conversation, and then I listened to those, which, by the way, is a challenge in and of itself, because if he has five meetings in a day or three meetings in a day, that’s three hours or, you know, five hours of conversations I’m listening to, or I’m in the meetings with him. And so, you know, it’s it’s definitely taking you away from other things, but if you get it right, it works extraordinarily well. I mean, it’s, it certainly is appealing, right? 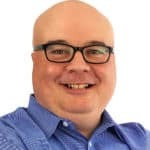 Because you’ve done a huge amount of risk mitigation, which, you know, for a growing agency is is very important as someone who has managed sales teams of all sorts of different kinds of different businesses over the last 20 plus years, you know, it, it is challenging because there is always a ramp up time, right? So if you’re if you’re paying, you know a salaried salesperson, you know you have to pretty much plan on eating the first couple of months of their salary because it does it takes time to learn and figure out a way to speak and you know all those kinds of different things it’s very rare for a sales rep to come in parachute on day one and and and start selling right away you know, it just it takes time and if they are selling from day one, it’s probably stuff that was going to close anyway, you know, they’ve just sort of you know, they’ve just picked up the the low hanging fruit which can be you know, great for morale, but, you know, when someone close to something on day two, and Geez, I couldn’t close that before and I wouldn’t have to pay a commission on that. So you have to get past that right. You have to view it as an investment. Right. And one of the things that you can do is set up a salary so it’s a draw. So you can say, okay, that’s fine, you know me, I can pay you a salary. And let’s call it, let’s call it $60,000 a year. So five grand a month. But that means you have to sell $5,000 a month before you make any commission, right? And so you can do that too. And then that becomes really clear as well, where you say, after ramp up time, and I would definitely give it at least two months, if not three. But after that amount of time, if they’re not hitting their $5,000 a month, not they don’t have a job. It makes it really easy for you to be like, this isn’t gonna work and sure you’re out 15 grand or maybe 20 grand. But that’s significantly better than to your point going down, letting going down with the plane. I mean, it’s not it allows you to make really fast decisions, and the writing’s on the wall for both of you. So it’s not like they’re surprised. Right. And that’s I’m a much bigger fan of that. And typically when I’ve had successful sales people you have some sort of, you know, whatever system you set up use, you have some sort of a change in their compensation structure, you know, after some ramp up period, 2-3 months, something like that, you know, it may be that they’re their base salary declines over that period of time it could be that could be commission goes up, it could be that, you know, you’re working off of, you know, some sort of a draw system like you’ve set up, you know, there are all sorts of different approaches that you can take, but, you know, either way, something to think about. Okay, so, so there’s commission only sales, so, but there are other, you know, quote unquote, free ways that you can expand and and so one of the ones that I’ve used with much more success is referral programs so sure, yeah, and in growing a number of my businesses I’ve set up referral programs where particularly in the early days, you know, and I’m, you know, first building out clients, I will incentivize people within my network to help send business my way in exchange for a percentage of whatever business they’re able to refer so they’re not out there necessarily doing the actual sales but they’re putting in the good word just saying, Hey, you know, take a look at this, you know, so they’re making the introductions and it’s and making a recommendation at the same time. So, you know, that can be another way to look at how you can leverage free. Now, there are there are pitfalls with this, too. I mean, part of it is, you know, first of all, making sure that, you know, everybody understands that there is a referral in place, right? I’m a big believer in in not hiding that you want to have transparency so that, you know, that if someone’s making that recommendation, people know that they have some skin in the game. And particularly, you know, that one of the things that I learned very early on when I first started these kinds of programs 20 years ago was, you know, you had to make sure that you actually put sort of the rules of the road in writing so that you said, Okay, look, you know, for example, you know, if you’ve got any kind of decision making authority over this, you know, whether you’re, you know, an empowered consultant or you’re in house, you don’t get a piece of the action because that’s, that’s not a referral, that’s a kickback. That’s right. Okay. Right. And so, but, you know, it’s one of those things you just learn because someone will say, Well, wait a minute, don’t I get my, you know, 5-10 percent whatever it is, because…I’m like no, because, you know, you were part of the decision making process for this, you know, so, you know, you can’t, that wouldn’t be, that wouldn’t be ethical. So, you know, you want to think those things through. And then the, the other challenging piece you have this with, you know, whether it’s a commission program referral fees or anything like that you really need to think carefully about, you know, what are the terms of that commission, right. So, it’s really easy when it comes down to like a project, right? So if it’s, you know, you’re selling right $25,000 websites, you get, you know, five or 10%, you know, easy peasy one and done. But, you know, so many agencies are doing ongoing work for clients, you know, how do you properly commission that or come up with referral fees, you want to you want to think about it because part of you wants to encourage them to continue encouraging that individual to do business with you. On the other hand, you don’t want to be sitting there three years later and still, you know, be paying a piece of the action Yeah, yeah. Right. So, so typically, you know, the way that I’ve solved that is by putting together referral programs that you know, payout based on, you know, the first year of revenue, and then subsequent years, maybe just anything that they help above and beyond, you know, the previous year’s revenue, right? So, let’s say that that, you know, was worth $50,000 in year one, you know, you get a percentage based on that. And typically I would time it so that, you know, those payments were based on the client actually staying with you. So, don’t don’t pay it all up front, particularly for talking big numbers, you know, you want to have some sort of structure to it so that, you know, if the relationships hours you’re not out the money because these aren’t particularly in a referral program, you don’t have a clawback like you would have with a sales rep, you know, where if a client goes away prematurely, typically with a sales rep, you clawback part of the commission, you know, not can’t do that easily with, you know, someone who’s doing referrals, but you still want to, you know, find a way to give them a good piece of the action. So, anyway, so, think about those, think about how you’re structuring it so that you know, you’re both making it interesting for whoever’s making the referral. If they’re motivated by money, and if not why you have a referral program anyway. But what I will say to that, you know, you don’t necessarily have to do money. If you are doing money, I would really think about doing it on net versus gross, because you could bring in a client for $50,000, and then over service it and not make any money, and then you’re out even more money because you’re doing a referral fee. But, you know, people enjoy I mean, going back to what we were joking about, at the beginning, people really enjoy a nice bottle of wine or a nice bottle of scotch, that they wouldn’t buy it for themselves, necessarily, but, you know, a $200 bottle of scotch for you is a small investment for something like that, or, you know, tickets to a Broadway show or, you know, people enjoy that kind of stuff that they wouldn’t necessarily buy for themselves, but really enjoy that. And that’s sometimes enough and it’s significantly less than 10% of a $500,000 client. Yeah, no, absolutely. And you know, so, so two points there so, so first of all, I guess I’m, I’m not as enthusiastic on doing it on net, because I think that that muddies the waters a bit and it becomes a more challenging conversation with someone who’s on the outside of your business. Right? Sure, I agree that you want to factor it in your head when you’re coming up with a percentage. But I think that, you know, it needs to be something much more directly understandable for whoever is doing the referral. I would agree with you. However, on the gift I would I would categorize sort of two different kinds of referral programs sort of a formal one that is, you know, where you’re basically trying to get someone to actually devote time actively sending business your way that’s where I would pay a percentage if it’s more informal, just you know, encouraging your network to make referrals you know more because they think it’s a good idea then because they’re trying to generate money out of it, then I think the thank you gift is fantastic, right. Right. Right. I think that that can be a really effective way of reinforcing that, encouraging them to to send more business but I’ve you know, the ones I was talking about initially were sort of more formal programs. Typically you would be a solo consultant who’s maybe looking to generate a little bit of extra revenue, you know, for themselves. And so, you know, they, they’re probably going to be more incentivized by a percentage than they are. Buy a bottle of scotch, even though they may enjoy the scotch. Right. It is, if you do it through a distributor, it is. Yeah, I mean, I’ve tried this in a number of different ways and I will say that when you partner with an agency that has similar services, but doesn’t do the same thing, it tends to work better. Because then on either side, you can go to a new business meeting and they say, Gosh, we really need to also do web design and development. And you’re like, great, I have a partner for that. And so it works significantly well. And I don’t think they will mind me saying this. But I partnered with Thornley Fallis a few years ago to help them do communications in the US because they’re Canadian based. And it didn’t work very well just because we couldn’t figure out how to how to structure it and how to say okay well actually that’s -that’s Arment Dietrich business and Thornley Fallis isn’t involved or that’s Thornley Fallis business and Arment Dietrich isn’t…, and that we couldn’t figure out that right structure because we offer the same things so that didn’t work as well as it does when you have a firm that has similar services, you know, other marketing services, but doesn’t do the same thing as you do. We have an accounting firm relationship. No, that doesn’t work. I mean, it might, but it’s not worth investing a lot of effort in those kinds of partnerships. But you know, it’s that I mean, the the ideal ones are where it’s just, you know, one agency can take you right up to a line and the next one can then take you you know the rest of the way and and that that delineation is much more clear because…and you also have to be realistic, right, because, you know, a lot of these things, a lot of those relationships will change over time, right? So, I’ve had instances where I’ve had my agency partner with another agency on on work and it works great for a couple of years and then you know that one or the other agency decides to get into the other agency’s business, right? And it’s not, it’s not to, you know, kind of go stick it to them. It’s just because, you know, the agency grows over time. And, and you can now you know, afford to have a digital division, for example, you don’t have to send that business out, you’ve got enough of it, that you’ve got that critical mass and it’s worth building it out as part of your core competency and not not through a partnership. So, you know, you have to be prepared for those things to evolve over time. But, you know, they often work quite well for, you know, 1-2-3-4 years as you’re, you know, continuing to explore and it’s, frankly, it’s a good way for you to be able to test the markets through those partnerships and see, okay, you know, do my clients really need this, let me… Frankly, you’ll learn a little bit from your partners and how they’re, how they’re working with them, and you can figure out okay, is that really a piece of an area that we want to get involved in. And of course in in some scenarios, it may even be that the two agencies eventually decided to merge right because, you know, if they truly are adjacent, and they’re they’re adding value to each other in both directions then you know that it sometimes can make sense to bring those businesses together. But M&A is a topic for a whole another show because that’s, that’s a whole another can of worms to open up. A very big dirty can of worms. But we’ll we’ll we’ll leave that be for the moment. So, you know. So we’ve talked about commission only sales, we talked about referrals, we’ve talked about partnerships with other agencies. I think that’s sort of a good starting point for some of the quote unquote, free ideas. As long as you understand as always, nothing is truly free. There’s always a cost to it. And that cost may be in the time it takes to structure and manage it. It may be in the dollars that you pay out on the back end. 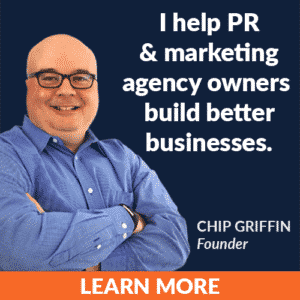 But you know, there are lots of ways for you to expand your business development resources as an agency that’s not simply stealing from the owners time. And stealing is the wrong word because it’s as we’ve said, it’s what they should be involved in anyway. Right. Yeah. It’s there are lots of things that you can be thinking about for sure. As my attorney always says, remember what you’ve paid for. That is true so I mean that actually you know maybe maybe we should we should switch from “it depends” at the end of the show to say, this was free advice, silly. I don’t know, I kind of liked “it depends.” And I also like that people have started direct messaging me or or texting me and saying “it depends” dot dot dot, which I think it’s hilarious. depends how many glasses of wine right? Getting back to the wine and scotch theme. Maybe when we post this you know, we’ll just call it the wine and scotch episode.